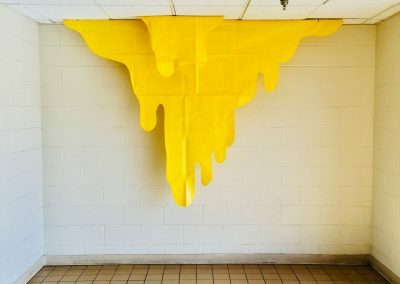 A series of collaborative murals and temporary installations intended to create literal and symbolic connections. 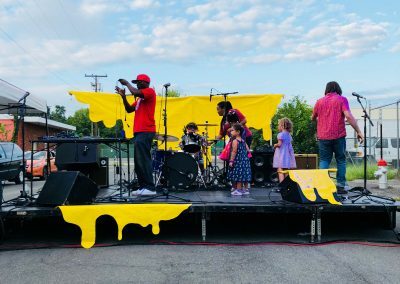 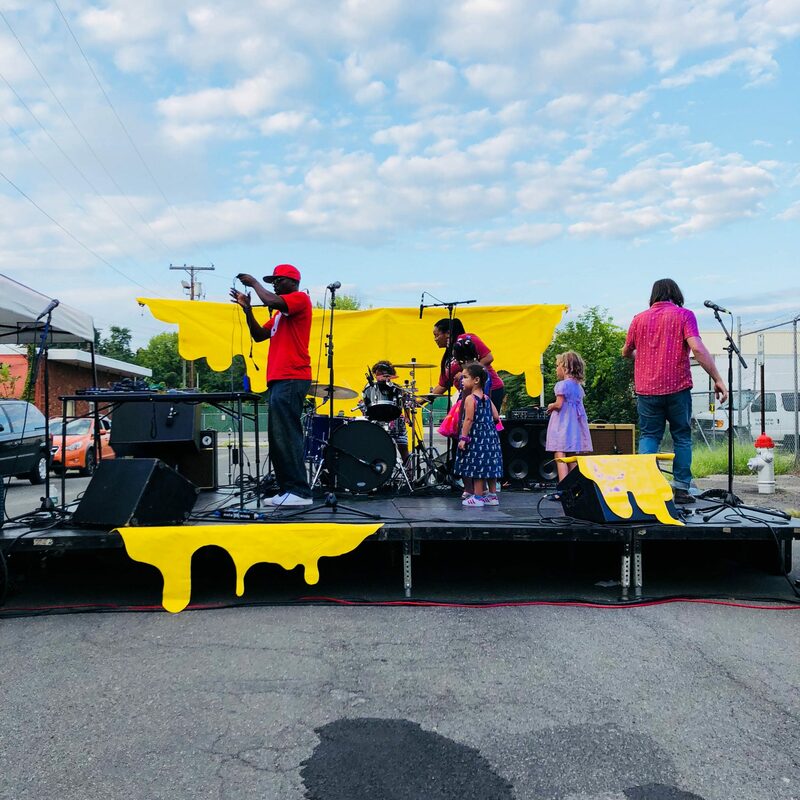 The first set of “Drips” or “Oozies” was a collaboration between Uncle Riley, the Veterans Association and Kingston High School. 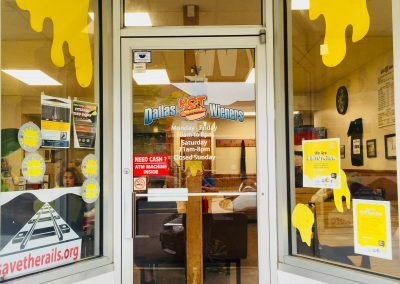 Although the two institutions have been neighbors for decades, they were divided by physical walls and generational gaps. 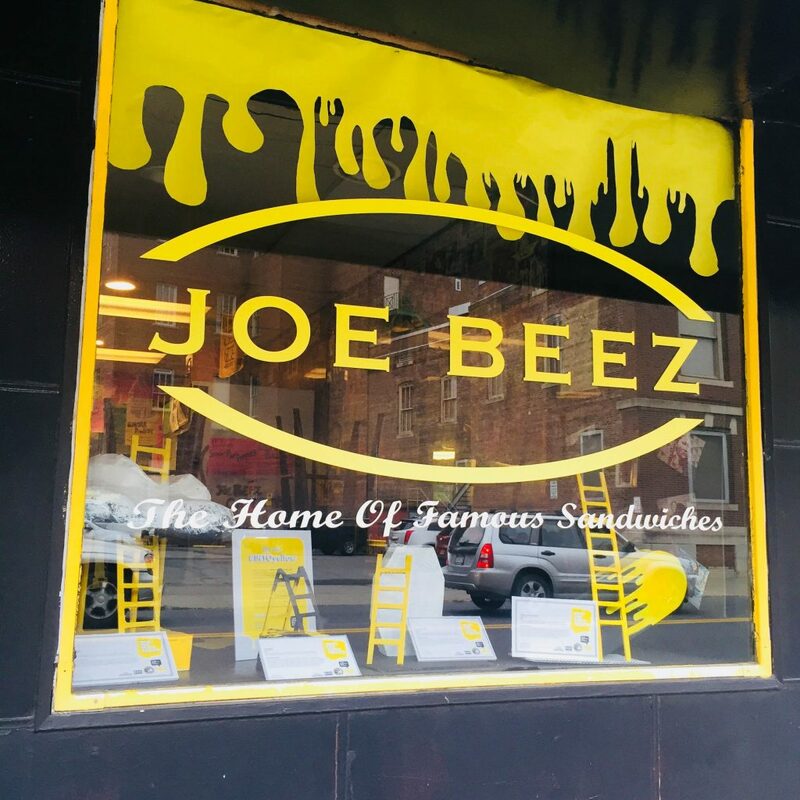 Despite this barrier, they have a great deal in common. 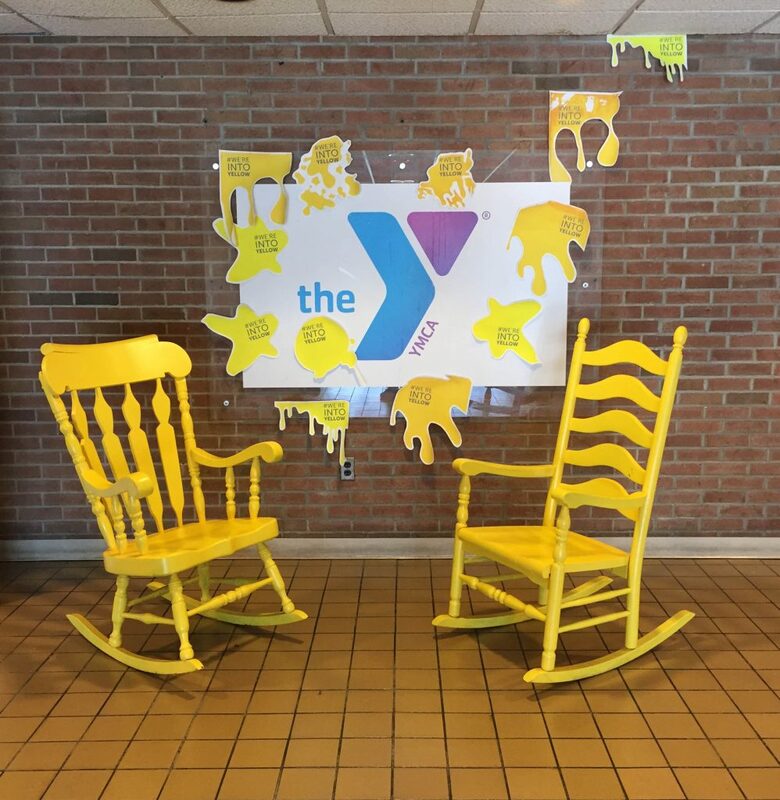 Both groups share high rates of mental health issues (including depression and suicide). 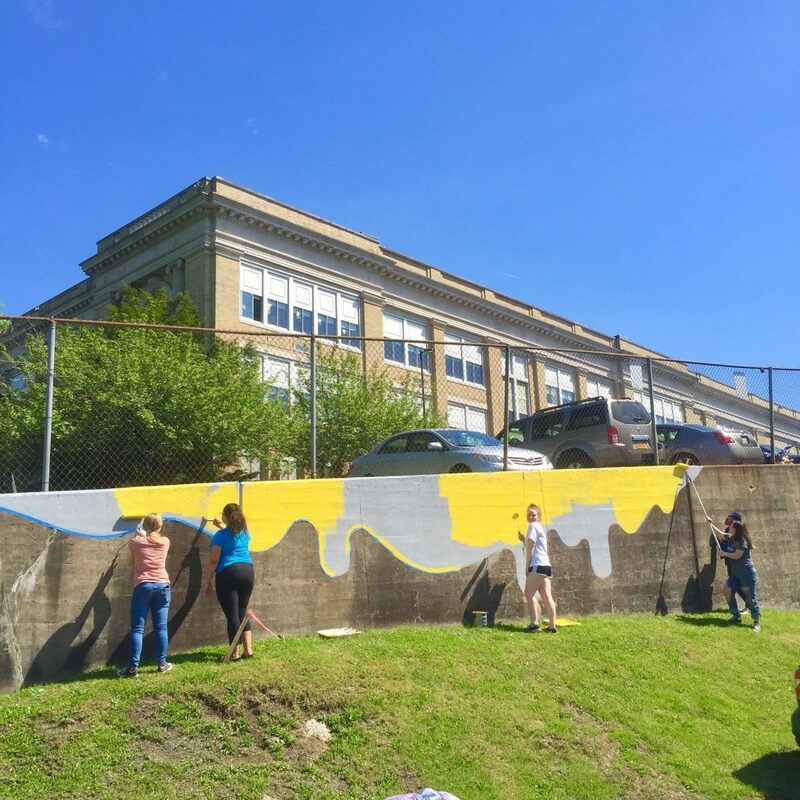 This project was a way to overcome this barrier and open up opportunities for connection. 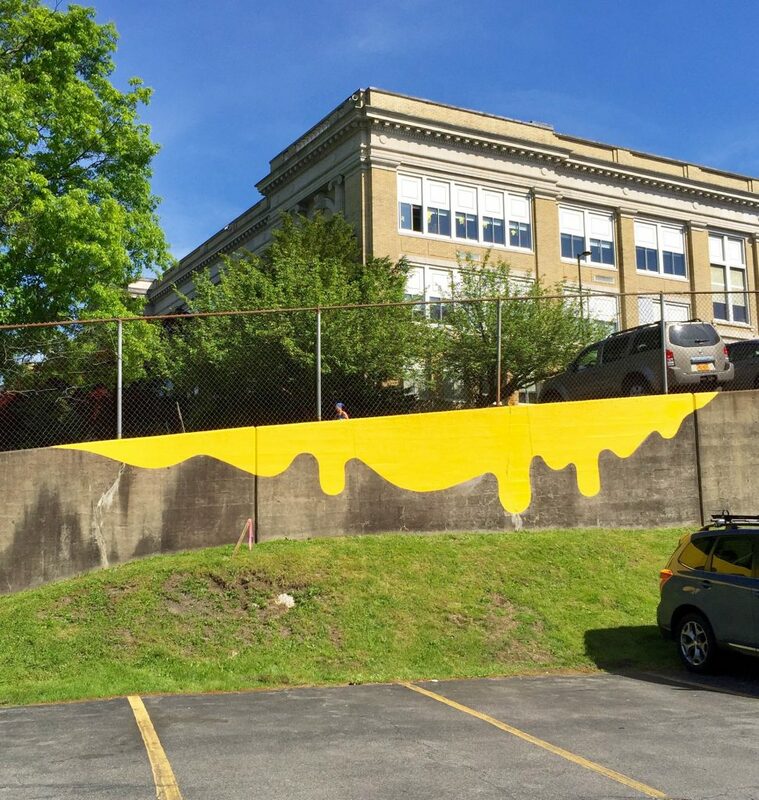 “Overflowing,” the title for the piece created in Kingston, is symbolic of Optimism flowing between the neighboring institutions and into the surrounding community. 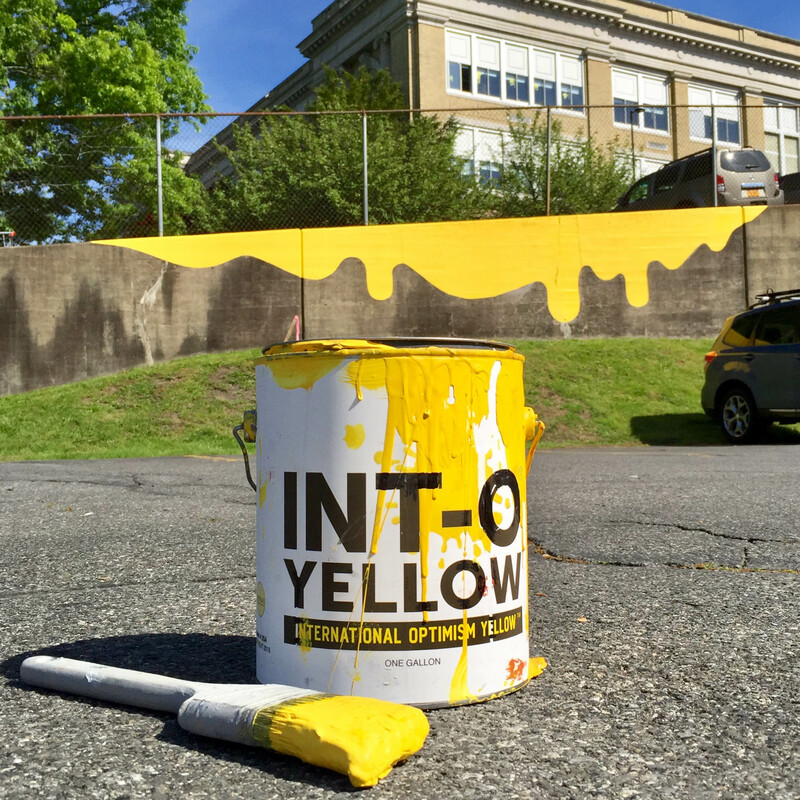 Similar permanent murals and temporary installations are being developed in other locations to inspire connectivity, unification and beautification: to literally and symbolically brighten the location. 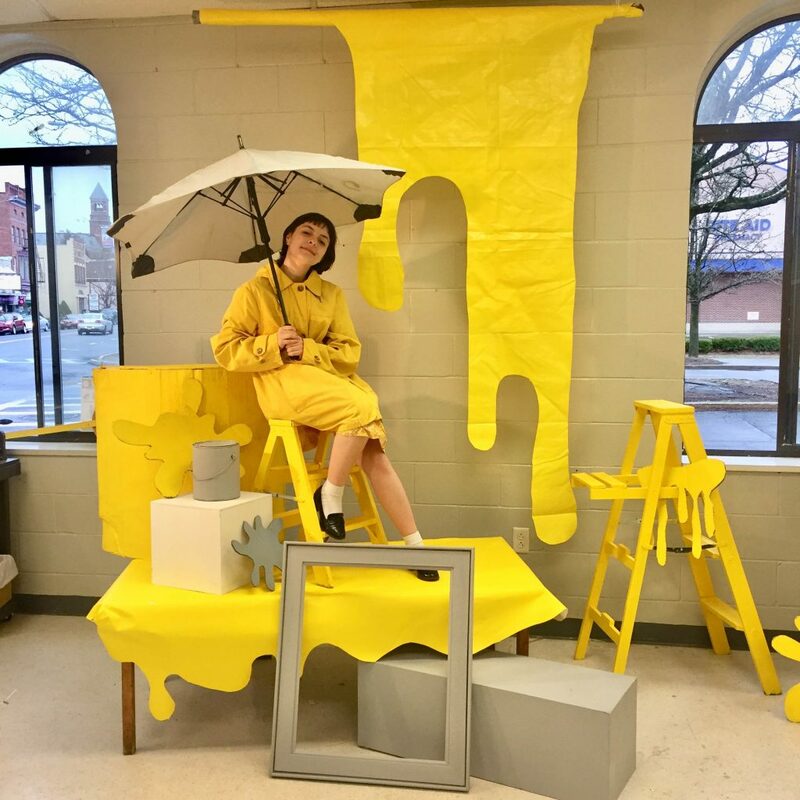 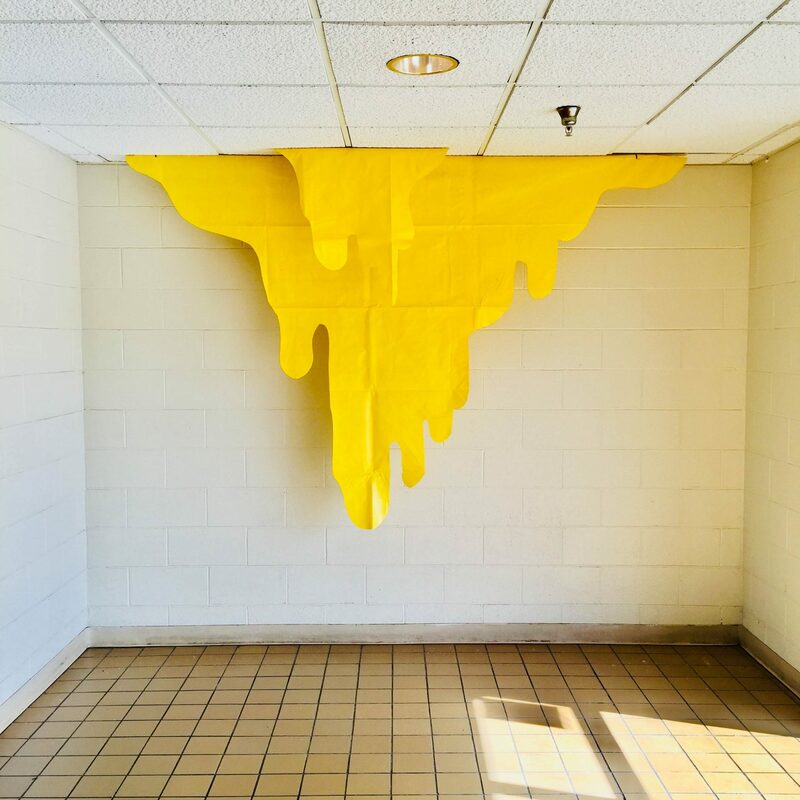 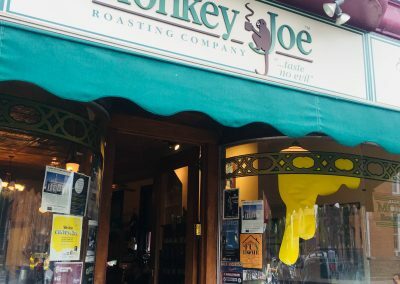 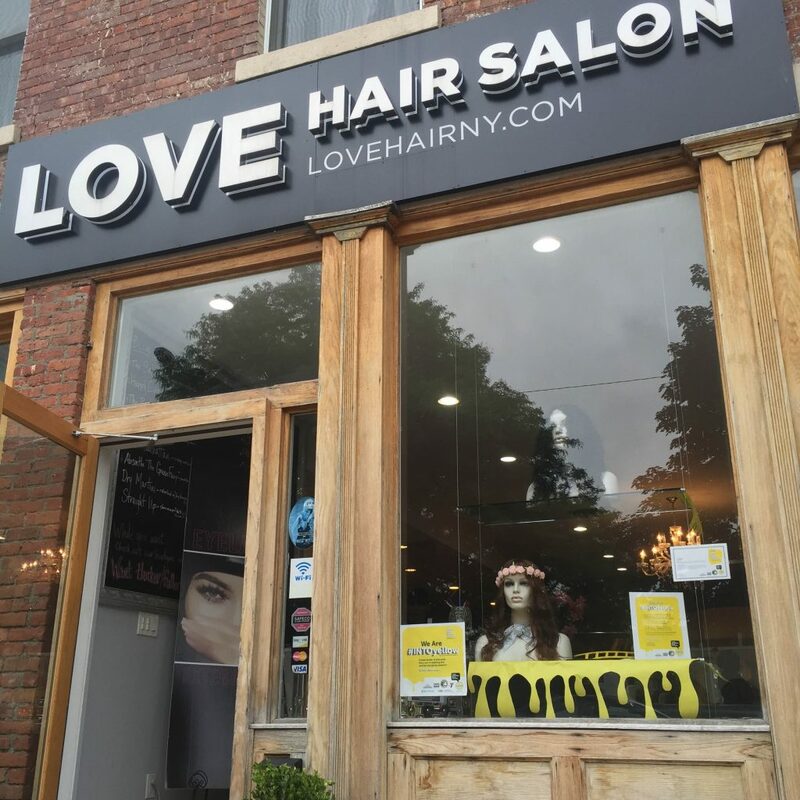 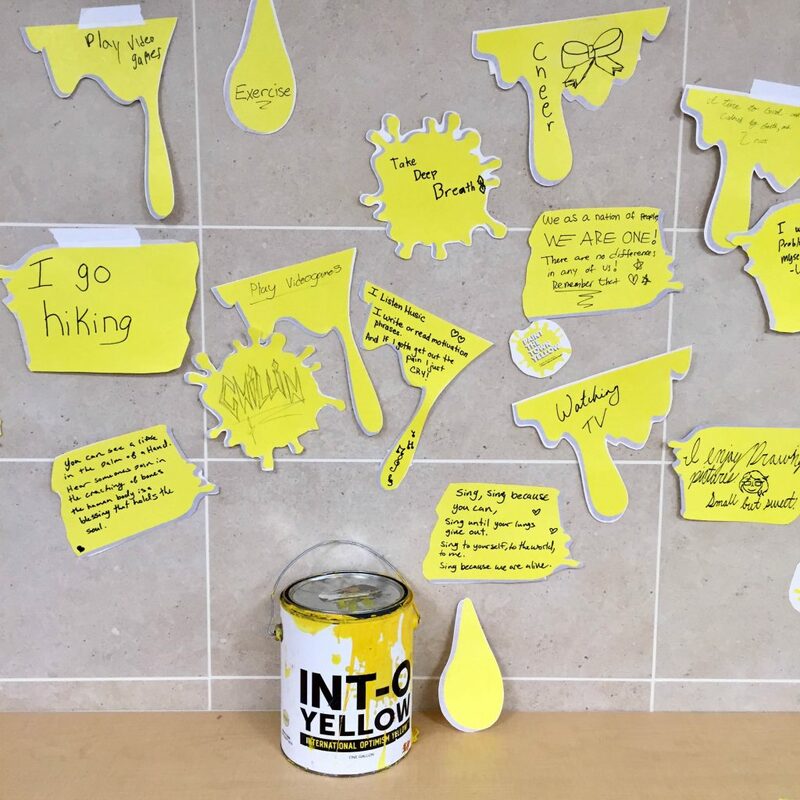 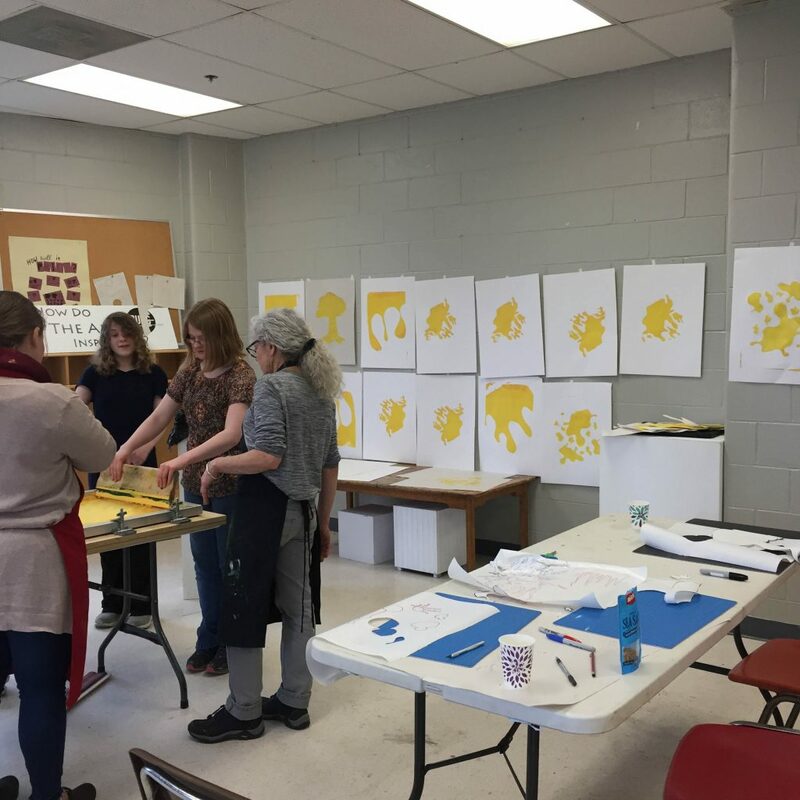 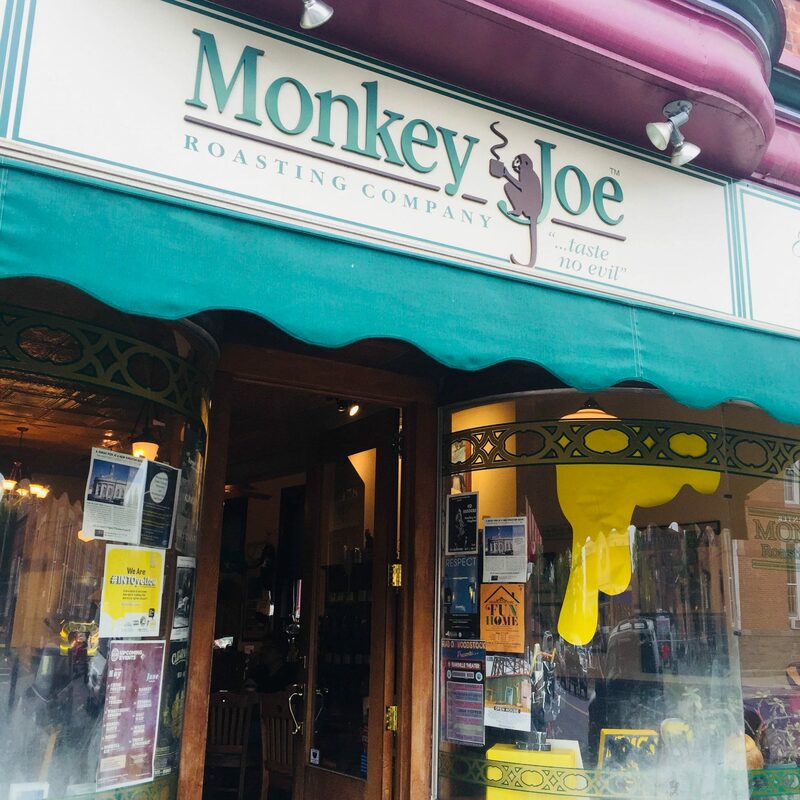 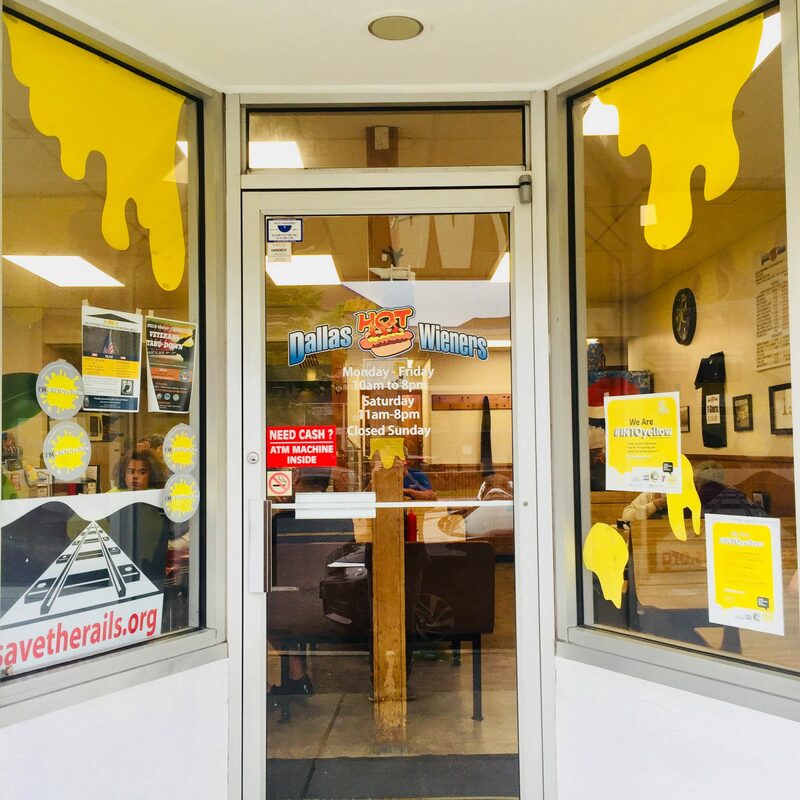 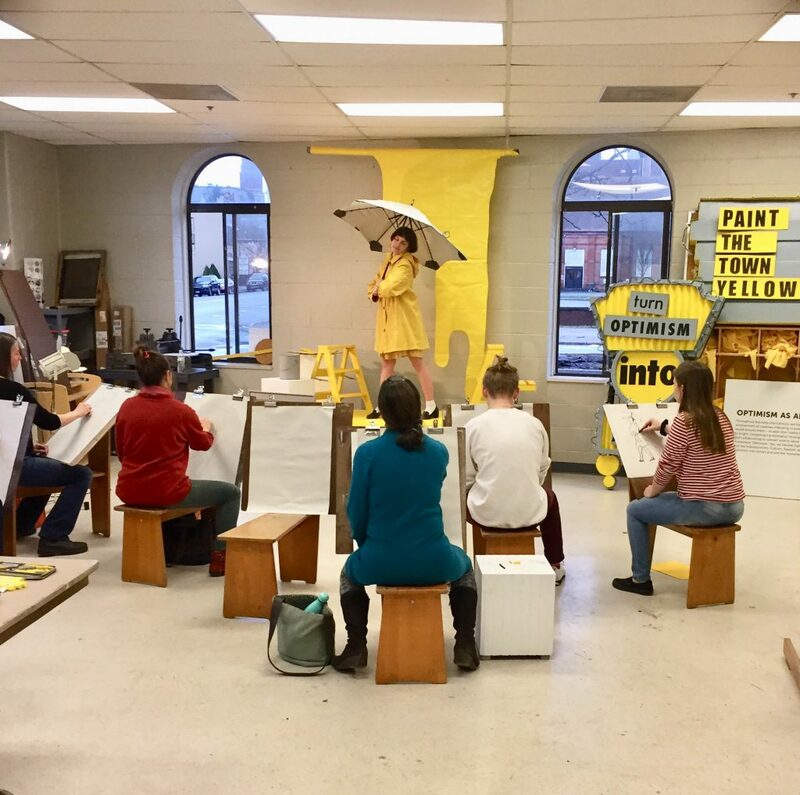 Besides this iteration, “Oozies” have been installed at a wide array of local businesses to show their affinity for the project and to shine a light on mental health as part of the annual INTOyellow campaign.